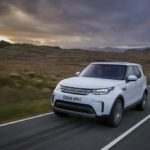 The Land Rover Discovery has been on sale for thirty years. To mark the occasion, Land Rover has revealed the new Discovery Landmark Edition. Taking the SE as a starting point, the Landmark Edition adds the Dynamic Exterior Pack, which includes a “more purposeful” front bumper design and Narvik Black mesh grille and fender vents. Narvik Black nameplate scripting on the bonnet and tailgate is also joined by Landmark badging. 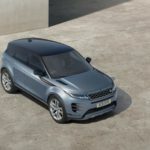 Thanks to its smash hit status, it isn’t too difficult to find an Evoque in the specification you want. Even lower trims look stylish enough to get you noticed, but higher grades offer more luxury kit like a fantastic Meridian Audio upgrade. 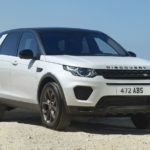 The desirable Discovery Sport is now three years old, bringing the Freelander replacement within reach of used buyers. It certainly looks stylish and most trim levels come with lavish amounts of kit. 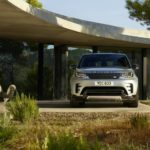 Land Rover marks the 30th anniversary of Discovery with a limited-edition exclusively for UK customers. Based on the Discovery Sd6 SE, the ‘Anniversary Edition’ features 22-inch wheels, fixed panoramic glass roof, privacy glass, a 380W Meridian sound system and a choice of metallic paint as standard. A total of 400 Anniversary Editions are available in Santorini Black, Corris Grey Loire Blue or Indus Silver. A unique lifesaving Land Rover Discovery has just entered active service with the Red Cross emergency response fleet. The bespoke Discovery will provide eyes in the sky with a special drone and go-anywhere wheels on the ground, as an emergency mobile command centre with the Austrian Red Cross disaster response teams. 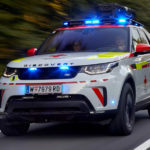 The vehicle, developed from the original Project Hero concept car is the result of an 18-month collaboration between Land Rover Special Vehicle Operations and the Austrian Red Cross. Land Rover has enhanced its record-breaking Discovery Sport range with a new special edition. 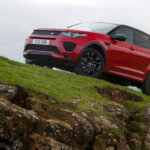 The new Landmark Edition salutes Discovery Sport’s success as the fastest-selling Land Rover of all time – coinciding with the brand’s year-long 70th anniversary celebrations. Powered by Land Rover’s TD4 178 bhp diesel Ingenium engine, Landmark offers customers a unique colour and trim combination. Land Rover has announced a host of enhancements to the Range Rover Velar including a broader engine choice, the latest intelligent safety technology and more features such as air suspension and adaptive dynamics now available as options. The Velar now has a D275 engine option, a 271 bhp 3.0-litre V6 diesel, producing 461 ft lbs of torque.